Inclusive classroom aims to promote equal learning opportunity for students with disabilities. It is a way of giving a chance to these students to receive the same education and environment with regular students without compromising their unique needs. It is also a way for everyone to understand and accept the reality of the world we live in, that there are certain situations and people who can teach us to appreciate the things we have. 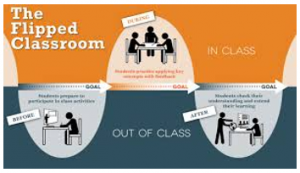 What is the traditional classroom setting? Typically, students are divided based on their abilities. They would usually be segregated based on the severity of their limitations. It was thought that in this way, they would be able to efficiently supply the educational needs of the students with similar demands. Nowadays, people started to realize that dividing them based on the severity of their limitations is a form of discrimination that most often than not affects the self-esteem and self-worth of a student. Not being able to address this could mean more severe concerns as learning requires the mind to be open and not to be distracted by negative thoughts caused by the environment in school. What is an inclusive classroom setting? The inclusive classroom setting is creating a much healthier, friendlier and happier environment for students. It emphasizes equality and compassion. Equality because it encourages equal learning opportunity for all students regardless of their limitations. Compassion because it helps us to contribute to the well-being of students with special needs. All students will share the same environment that will help them understand and slowly adapt to the real world. They will be taught based on their individual needs, and at the same time, they would be able to be with their peers and make more if they wish to without the feeling of hesitation. What are the teaching strategies and methods in an inclusive classroom? 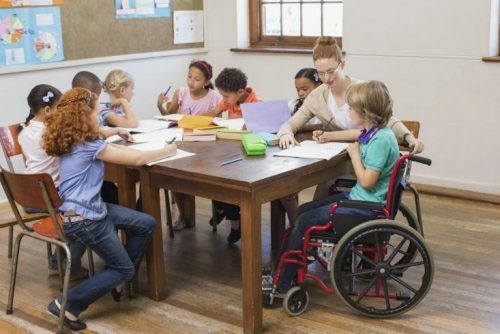 An ideal inclusive classroom setting has more than one teacher or a co-teaching method where one specializes in general education, and the other specializes in special education. This way when one teacher is teaching a lesson in front, the other teacher would go around and assist each student. There are also specific activities designed for each student. This will help them learn efficiently depending on their needs. Our world, nowadays, has a better understanding of everything in it. Everything has its own needs, and we are all able to contribute to the betterment of every individual we live with, especially the youth. It is vital that they understand and value every element of life, including not only their own but everybody else’s. An inclusive classroom creates an equal learning opportunity for students with special needs, produces the same environment that is essential to promoting self-esteem and self-worth. An inclusive classroom is setting benefits not only the students with special needs but everyone else as well. It gives them the opportunity to appreciate and be grateful for the things they can do and the challenges they don’t have to deal with.